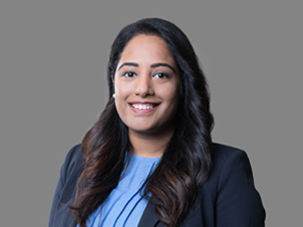 Harini Bupathi, Esq., is an associate practicing in the Life Sciences and Healthcare Law Practice Groups with a focus on transactional and regulatory law. Harini advises clients in the areas of fraud, waste, and abuse compliance, Anti-Kickback, self-referral/Stark Law, and related state and federal regulations, as well as matters related to PBM audit results and terminations. Harini earned her Juris Doctorate, J.D. in 2016 from Villanova University Charles Widger School of Law in 2016, where she gained extensive health law knowledge during her coursework, her experience in the University’s Health Law Clinic, and as Treasurer of the Health Law Society. During her time at Villanova, Harini was the Managing Editor of Student Works for the Jeffrey S. Moorad Sports Law Journal and was also involved in several other activities, including Honor Board and the school’s public interest fellowship program. Prior to joining Frier Levitt, Harini interned with Bayer HealthCare, where she worked on a wide array of issues as they related to pharmaceutical manufacturers. In addition, Harini committed herself to public interest work during her time at the Medical-Legal Community Partnership in Philadelphia, offering legal services to low-income medical patients at local health centers. Harini also clerked for the Honorable Henry S. Perkin in the United States Eastern District of Pennsylvania where she further developed her research, writing, and litigation skills.